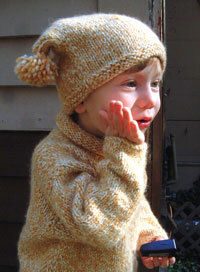 Baby Alpaca Sweaters from Fabsweaters- Handknit, handmade luxury baby hats, sweaters and Booties! Who says beauty isn't functional? Our beautiful baby alpaca is soft, warm and light. Alpaca is a hollow core fiber, which means it's a great insulator, and baby alpaca, taken from the first shearing of the alpaca, is the softest. Together, you get a working luxury fiber that will keep your little one toasty warm, but is durable, lightweight and classy.